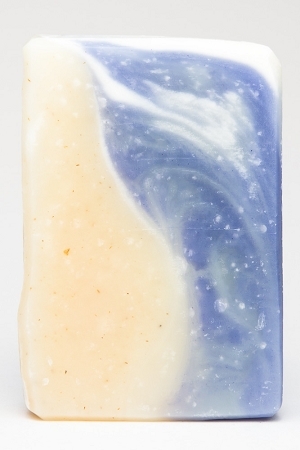 This mild bar is made with organic chamomile flowers and blended with aromatic lavender. 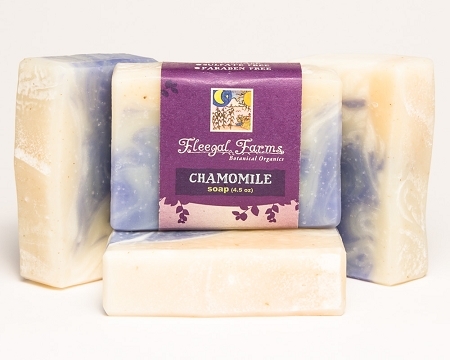 This perfect pairing creates a beautiful and calming scent. A wonderful way to end a busy day. INGREDIENTS: filtered rain water, saponified oils of olive (olea europaea), coconut (cocos nucifera), and palm (elaeis guineensis), pure essential oils, chamomilla recutita (matricaria), and mineral manganese violet.